Ideally situated to explore the natural beauty of the Trossachs National Park, this charming hotel is set in Callendar, at the Gateway to the Highlands. Offering comfortable en suite rooms, equipped with all facilities needed for a relaxing stay, the Waverley Hotel also features a bar. A member of CAMRA and winner of the Forth Valley Pub of the Year 2006, the bar is a favourite among locals and serves cask ales, lagers and malt whiskies. 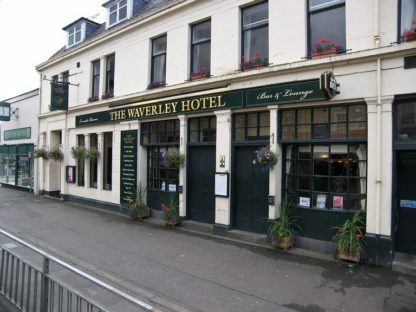 Each evening, following a long day of exploring the wonderful surroundings, you can unwind in the friendly atmosphere of the Waverley to enjoy a freshly prepared meal. All food is locally sourced and homemade.